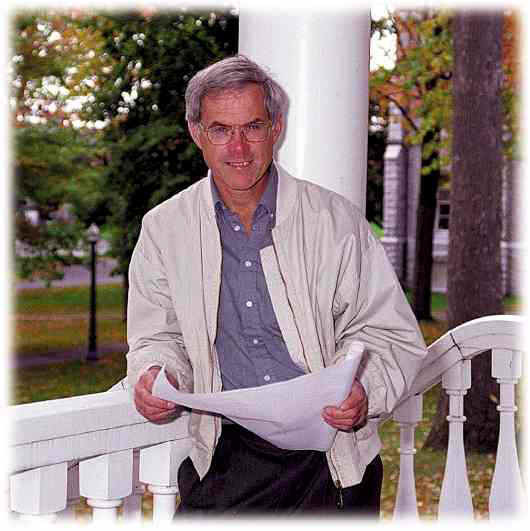 I have been active in building in Kingston since 1976. Since then, I have built new homes, many additions and carried out hundreds of renovations. For some time I ran a Home Inspection business (JK Thomas & Associates Ltd.) but in 1993, I decided the focus should be on renovations and regrouped with a few key carpenters and subcontractors as Thomas & Co. We specialize in residential and light commercial remodeling, additions and renovations. And increasingly, we focus on computer aided design. See Design/Build. After three years, I am stepping down as Chair of Renovations, at the Greater Kingston Home Builder's Association, We are active in promoting greater professionalism and accountability in the Renovation Industry. As Renovation Chair, I made regular trips to Toronto to sit on the Ontario Renovators Council, to discuss problems and issues across Ontario. At the heart of Thomas & Co. are the key Lead Carpenters. These highly qualified foremen are the best in the business and have many years of experience in all facets of construction. It's rare to find a situation that one of them has not handled before, from underpinning a cracked foundation to refinishing a factory floor. Check out the letters of reference in What We Do/What our Customers Say to see how highly regarded they are. We specialize in high end millwork and finish carpentry and pride ourselves on attention to detail. God, as they say, is in the details. 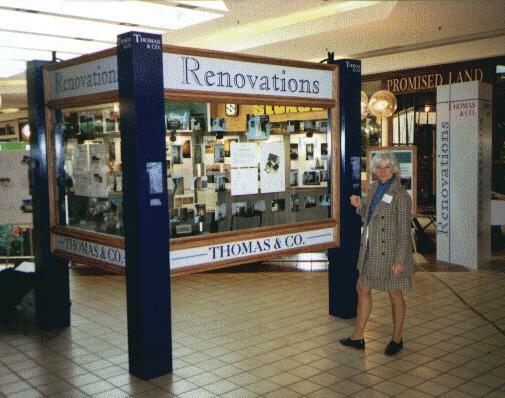 Here is our display at the Home Show held every year at the Cataraqui Town Centre in March. 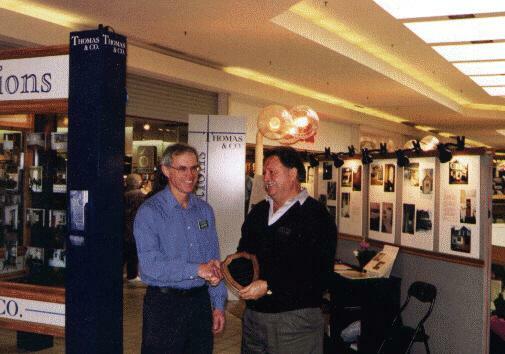 On the left, accepting the "Most Creative & Informative Display" Award for 1997.